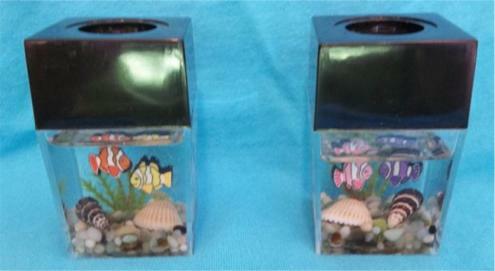 I finished these two miniature aquariums on 5-2-12. 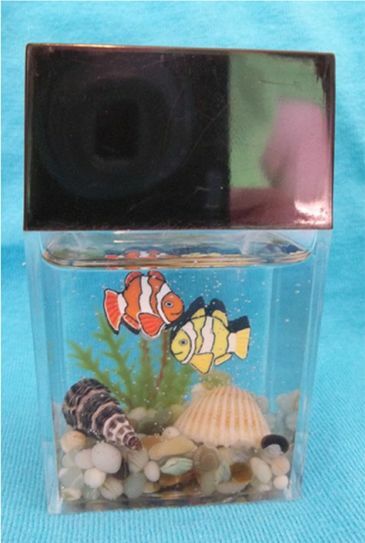 I love the clownfish beads I found! 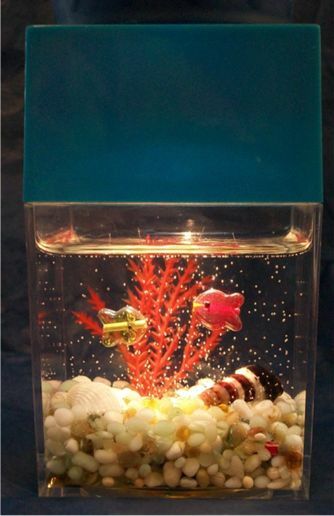 I used paperclip dispensers to make these miniature aquariums. 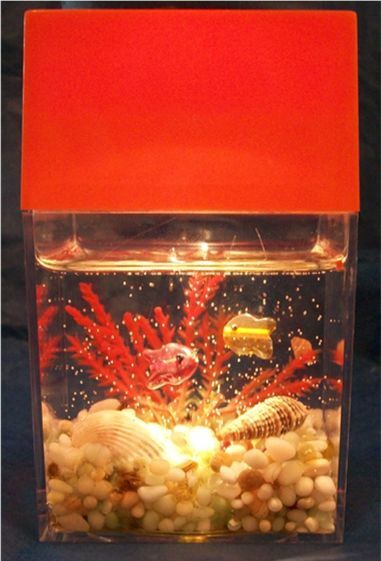 The "water" is fake acryllic water that hotels use in their flower arrangements. 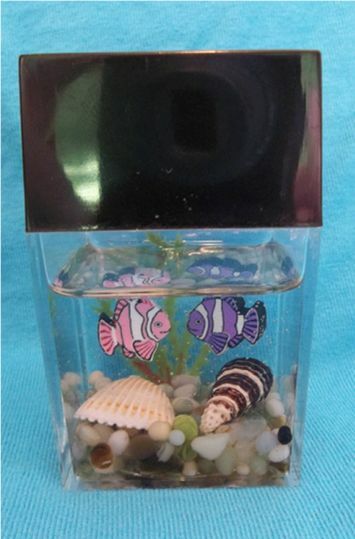 These next two miniature aquariums were my first attempt. The lights make them really nice.